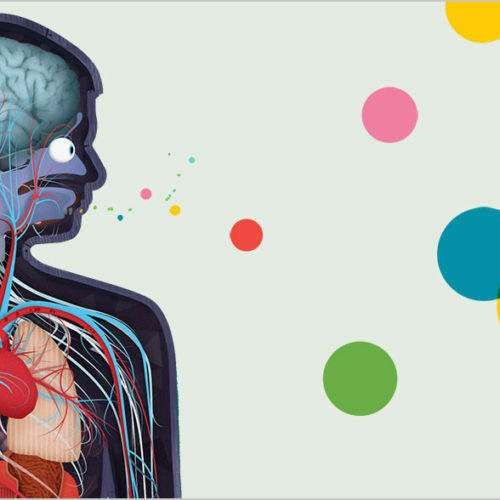 When illustrating The Human Body, it was really important to me to show how the body works as a system — that there is a guiding logic presiding over each part. If children (and adults) can understand the body as an orchestra of color, sound, and cause/effect, it makes that mysterious, dark space within us a little less scary. The Human Body’s immune system — our (PRODUCT)RED content — allows kids to touch, poke, and prod their way into tactile understanding of how our bodies battle infection. It empowers kids to control that fight. …I tried to make each piece inviting to the touch, so kids would feel compelled to learn about the body on their own terms, rather than simply ingesting received knowledge of the subject matter. It makes the experience both more fun and more educational. 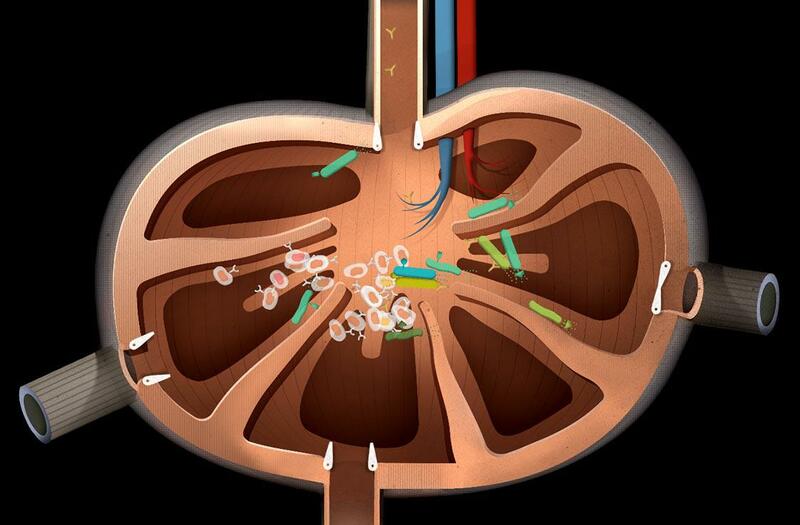 Kelli’s task was not a small one — she drew more than 200 parts for the app and even more for the new immune system. But we’re inclined to think lymph nodes and bacterium have never looked more inviting and delightful. Alongside her efforts, we collaborated with (RED) and the Global Fund to put together kid-friendly information about the immune system and HIV and AIDS treatment and prevention, in the updated Human Body Handbook. The Handbook can be downloaded for free in 10 languages. Special thanks to the experts at The Global Fund to Fight AIDS, Tuberculosis, and Malaria for providing information and support which guided us as we wrote this handbook. Education is a critical component of (RED)’s mission. (RED), its partners, and the wider global health community are working to end the transmission of HIV from moms to babies. The risk of transmission of HIV from moms to their babies can be reduced to less than 5% if an HIV+ pregnant woman has access to medicine — medicine that costs as little as 40 cents a day. That means your purchase of The Human Body has the potential to provide antiretroviral medicine for 9 people. 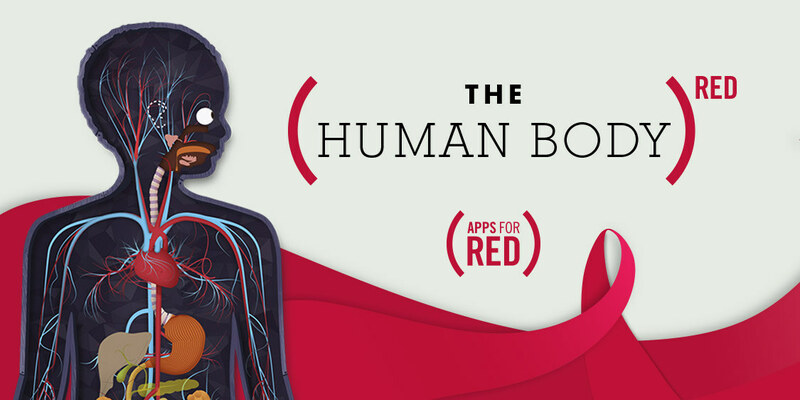 If you already own The Human Body and still want to support (RED)’s mission, now’s a good time to download the immune system and the urogenital system in-app purchases. As always, we greatly appreciate your support and love hearing from you. Share your stories by posting a review on the App Store or sending us an email at hi@tinybop.com.